We are getting ready for WordPress 5.0 and the new Gutenberg editor — are you? In Yoast SEO 9.2, we’ve solidified our support for WordPress 5.0 to make sure nothing breaks when you update to the new version of the CMS. What’s more, we’re now using a brand-new WordPress API to get our eye markers to work in Gutenberg. Finally, Local SEO for WooCommerce is now part of our Local SEO plugin. Find out what else is new! Unless you’ve been living under a rock for some time, you’ve probably heard rumblings: WordPress 5.0 is due next Tuesday, although there’s still a chance it will be postponed. The main selling point of this major release is a brand-new content editor, the one we currently know as Gutenberg. Gutenberg is a very exciting development and we’ve been actively helping to improve it wherever we can. We’ve also been very active with Gutenberg support for our own plugins. Yoast SEO supports Gutenberg since version 8.0 and we’ve developed all kinds of cool stuff along the way, like structured data content blocks — and there’s much more to come. Now, with the release of WordPress 5.0 around the corner, we’re making sure we are fully compatible with the latest changes. 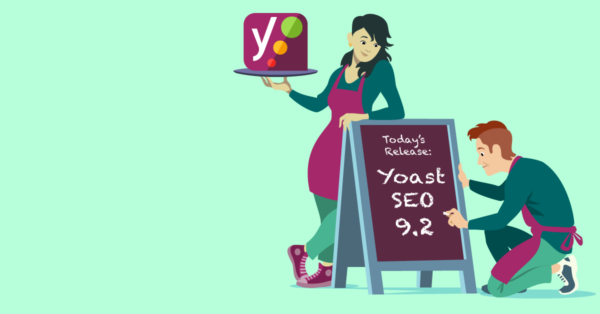 Yoast SEO 9.2 brings various enhancements and fixes that should make Yoast SEO and WordPress 5.0 work together effortlessly. As you know, we support both the Classic Editor plugin as well as the new editor. 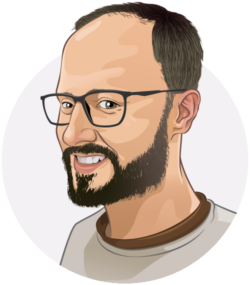 One of the cool things we — our software architect Anton Timmermans, to be precise — brought to Gutenberg is the Annotations API. Using this experimental API, developers can annotate certain parts in a Gutenberg text and add a highlight to it. Developers can use this to add in-context feedback to that content. For Yoast SEO 9.2, we’re using this new API to make our eye markers highlight text inside Gutenberg. You can easily see where your sentences are too long, for instance. Or, click on the keyphrase distribution to see your keywords — and its synonyms, if you have the Premium SEO analysis — highlighted inside your document. Highlights now work for the paragraph, quote, heading and list blocks. Besides the regular enhancements and bug fixes, we have a number of community contributions for this release. Felipe Valtl de Mello helped us update the og:locale options to the latest list provided by Facebook. Benjamin Reif-Caplan suggested an update to extend the Yoast functionality by hooking into the oEmbed data and adding OpenGraph title and image information — if they are set. This way, we should be able to help LinkedIn show the correct title and image for a post. Moving on, Saša Todorović suggested a change to define attachment as non-accessible when attachment urls are redirected to the attachment file itself. Last but not least, Alexander Varwijk refactored the SEO assessment filenames and exports. Thanks everyone! As you know, we have a couple of plugin add-ons that give Yoast SEO super powers. For owners of a WooCommerce online store, we have two plugins: Yoast SEO for WooCommerce and Local SEO for WooCommerce. These two plugins help you improve the performance of your online store, even if you operate locally. As of today, Local SEO for WooCommerce will be a part of our main Local SEO for WordPress plugin. This means, you can now use your Local SEO locations as pickup locations in your WooCommerce shop. What’s more, in the WooCommerce section you’ll find an actual overview of the orders which should be delivered at your pickup store(s) and you can now configure a pick up location as tax address. If you had a Local SEO for WooCommerce license, we’ll convert this into a Local SEO license for you. We have some exciting times ahead of us. Not only is the holiday season upon us, but next Tuesday we’ll see the release of WordPress 5.0. While there’s still a chance it will be postponed until next year, it is better to get ready now. There’s still time to test your site and setup. Remember, you don’t have to hit that Update button immediately. Sometimes it’s good to have patience. As always, we do our utmost best to ensure Yoast SEO works perfectly with a new version of WordPress. Yoast SEO 9.2 crosses the T for our compatibility with WordPress 5.0 and we hope you’ll enjoy using both! I already tried on different computers with different browsers. Same problem everywhere. I also noticed that other people report similar problems on github and wordpress forums. I already contact Yoast support, but they basically say I need to buy Yoast premium to get support. that sounds like an issue that happened with WPML installed. If you have WPML, you should update to their latest version, as they have fixed it in their latest release! Hi, i have updated yoast to 9.2.1 but it isnt working anymore. When I try to edit the snippet or focus keyword the part of the screen for the yoast plugin becomes white and I’m not able to edit anything. you can still exclude posts from the sitemap with the advanced settings in the Yoast metabox or with some custom code. See our Knowledge Base article for more information: https://kb.yoast.com/kb/sitemap-shows-excluded-posts-pages/. I hope this helps and you can finally upgrade! Hello. After I install 9.2.1 version many of my subcategory urls have gone blank. How to fix this? Is it compatible to wordpress 4.9.8 version? 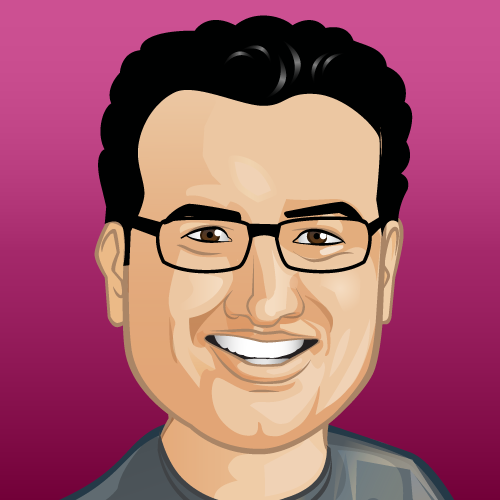 Hi Edwin, Great blog thanks for sharing. Always I found some new information from your blogs. This update (9.2) cause a server 500 error on my website and force me to delete the pluging with ftp and reinstall an older version of the plugin. Be carefull with this update and make a backup before updating! sorry to hear this. We’re not aware of any issues with Yoast SEO 9.2 at the moment that cause crashes, so this sounds like your update process went wrong. Unfortunately this can sometimes happen with basically any plugin update. Deleting the plugin and then manually reinstalling is usually the best solution. Anyone else experiencing issues editing the meta data for posts since the update? Cursor seems to retract back to the start of the paragraph while entering information, unless you can type consistently the entire description. Every other field seems to be OK, and you can copy/paste the information into the field with no issues. Having the exact same issue, no fix so far?? Hi Adsy. We’re rolling out a fix for this as we speak. Be careful, I’ve updated the plugin and it does not work anymore because of the usual conflicts with WPML. I’ve sent you an email too to make sure it’s resolved, but I think WPML did a release to fix this. You’re not alone in not liking plugin conflicts, please know that we do our utmost to prevent these. That is great nice stuff are coming with the new update, I like the highlight feature in the new WordPress editor so much will make my life easier. We’re glad you like it, Joe! And, thanks for the keen eye :).